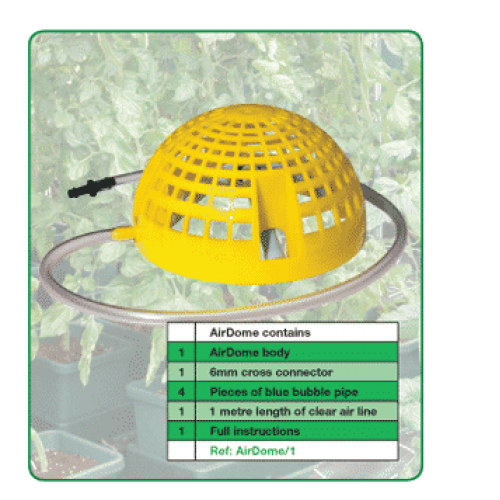 The Autopot Air Dome is a dome-shaped piece of plastic mesh which houses a cross section of porous tubing. This dome sits at the bottom of the container, buried underneath the substrate. 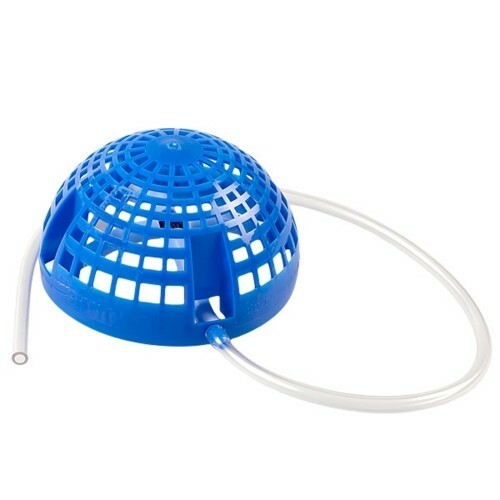 When connected to an air pump (supplied separately), the mesh acts as a protective cover for the flow of air moving through the porous tubing and towards the root-zone. Oxygen is essential for healthy roots; because AutoPots are fed from underneath, supplying air to the containers is great way to ensure that the substrate doesn’t become too soggy, which can lead to root diseases like Pythium. Once root diseases develop, plants can suffer terrible consequences within a very short period of time. A plentiful supply of oxygen creates a root-friendly environment that will lead to ongoing benefits, from the earliest stages through to harvest time!